Mahindra’s South Korean SUV making acquisition, Ssangyong, has come up with its first ever vehicle after being taken over by the Indian automaker. The 2015 Tivoli compact SUV will give Ssangyong a foothold into the fast expanding compact SUV sector that is making waves globally. The Tivoli has an interesting Indian connection in that the compact SUV’s platform will make it to Indian shores sometime in the future, when it underpins the S102 codenamed compact crossover that Mahindra is putting together for Indian buyers. That said, the Ssangyong Tivoli crossover being launched in India currently remains a point of conjecture. The first images of the Ssangyong Tivoli are out in the open, revealing the compact SUV inside out. 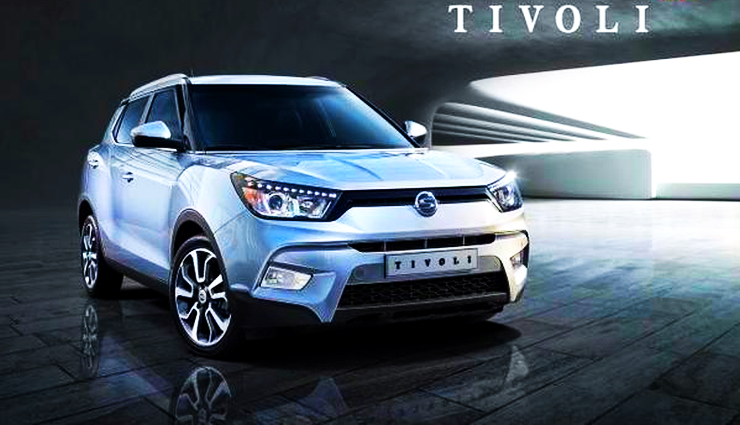 The Tivoli’s design has been inspired by concepts such as the Ssangyong XIV Air and XIV Adventure. On the inside, the compact crossover shows a brand new dashboard layout that is quite unlike that of the present crop of Ssangyong SUVs. 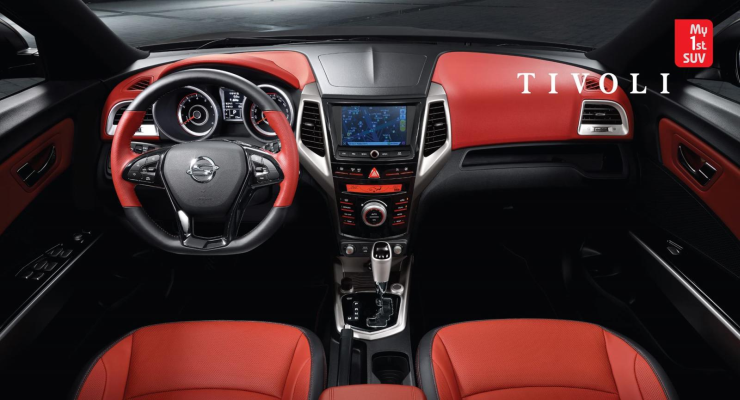 In terms of features, an automatic gearbox, a comprehensive infotainment package that includes entertainment and navigation options, a full array of 7 airbags and climate control can be discerned from the released studio images of the Tivoli. 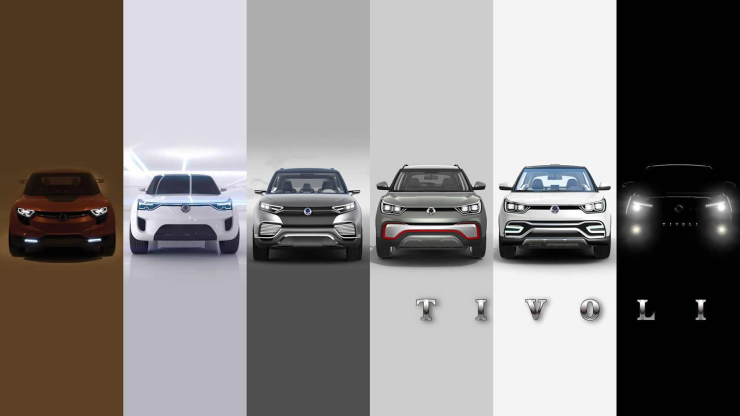 A global product, the Tivoli is expected to be sold in both developed and developing car markets of the world. Engine options on the Tivoli will include naturally aspirated 1.6 liter petrol and turbocharged 1.6 liter diesel engines. Both engines are from the joint engine development effort that Mahindra and Ssangyong have been undertaking for the past few years. Manual and automatic gearbox options are likely to be offered on both these engines. The Tivoli uses a monocoque body with a front wheel drive layout as standard fare. An all wheel drive layout is likely for certain markets of the world. The official premiere of the Ssangyong Tivoli will happen during January 2015, with other markets to get this compact SUV in the second half of the year.